Garmin echo 501c has an average rating of 4.33 out of 5 based on 3 user reviews. Garmin created the Echo 501c for quick installation and implementation into a fishing arsenal. Whether a novice, weekend angler or tournament professional, the user-friendly unit capably finds the fish. A power, directional/menu and enter button are all the controls needed to operate the device. Initial set-up merely requests that the user choose the desired language, units of measure and optional shallow water alarm. 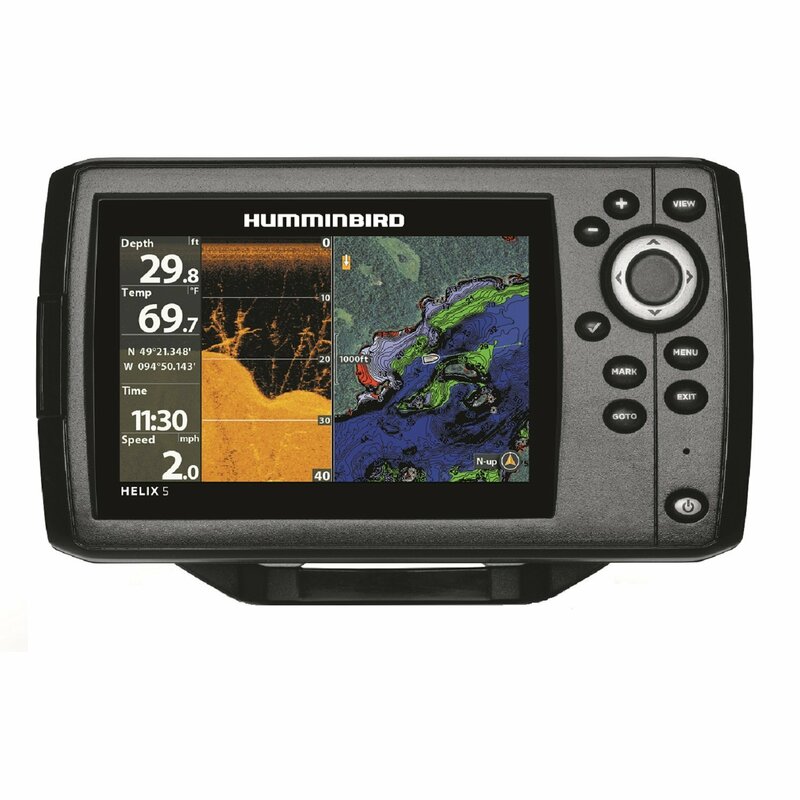 The high-definition, 5-inch LCD, VGA color display then provides immediate images of the sub-aquatic environment. Garmin echo 501c comes equipped with HD-ID dual beam sonar. The sonar emits two wide views at cone angles of 60 and 120 degrees away from the side of the boat, which locate fish in depths of up to 2,300 feet. Whether using the automatic or manual ranging, performance is smooth and clear. The full-color images reveal the bottom of the water environment, drop-offs, debris and fish activity. View the action below on a single or split-screen. Advanced settings enable the angle to transform the arched fish image into more realistic fish icons for better clarity and differentiation between marine and plant life. If anglers happen to miss a screen shot, the sonar history pause and rewind function allows instant backtracking. Advanced settings include the choice of changing background coloration, setting alarms and making calibration adjustments for water depth and boat speed. The power/backlight button is also easily adjustable to provide optimal viewing regardless of available sunlight. The affordable Garmin Echo 501c comes with a tilt/swivel mount that attaches to a convenient location on the boat via three screws. The mount also houses the power and sonar connections. The design acts as a theft deterrent, as the Echo 501c easily snaps onto or off the mount via a quick-release clasp. Some may prefer to install the unit directly into the vessel dashboard. The transducer mounts to the transom or a trolling motor without the need for additional hardware. Garmin fish-finders include installation instructions that are clearly written, concise and offer helpful illustrations. The unit also comes equipped with a tutorial mode that fully explains all of the fish-finder’s functions and operation capabilities. You can get a great deal on Garmin echo 501c here. I’ve used several Garmin fishfinders in the past and they all performed very well. 501 is no exception – great screen, powerful transducer, easy to install and use. Garmin units are much better for saltwater use than Humminbird. This unit has a great 5 inch screen that’s easy to read in bright sun. It’s able to keep up with the boat at 25mph and it even automatically updates the depth scale as the depth changes. I like using the split, dual frequency mode, that way I don’t miss anything. I also like the feature that allows to turn arches into fish icons with the depth reading for each fish. I don’t think you can buy anything better for $250. Not a bad fishfinder, from what I can tell it’s very accurate. The installation was not easy because the printed user’s guide that comes with the unit doesn’t have instructions in English. This is the first time I bought a product and the manual was in 6 languages but no English instructions. I was able to fin English instructions on the web.